What are some of the real-life romance lessons we can take away from the book? The love lesson to learn from Colton Cowboy Protector would be to judge people on their own merits and not allow old wounds to color your opinion of a new love interest. Jack Colton was badly hurt by the failure of his first marriage. He holds grudges against his first wife, and he lets those bad feelings stand in the way of seeing his ex-wife’s cousin without prejudice. Tracy McCain came out of a bad marriage and has to overcome the fears and hurts of her first marriage to fully trust Jack. Through the trials they encounter in the story, they learn to love each other for the unique individuals they both are without preconceived notions and clutter from the past distorting their perceptions and expectations. Gotta love the romance with suspense. 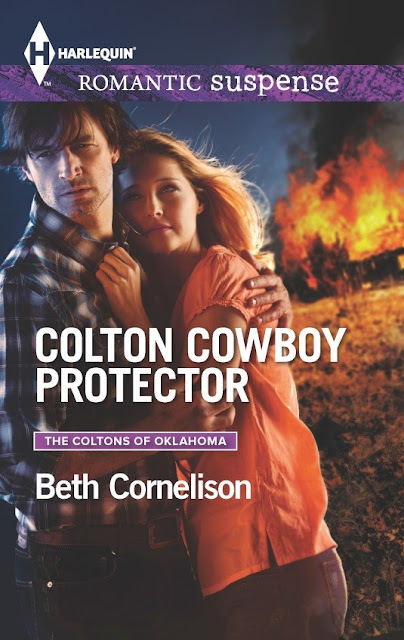 Enjoyed Beth's post and think a bit of mystery with a cowboy story sounds great!